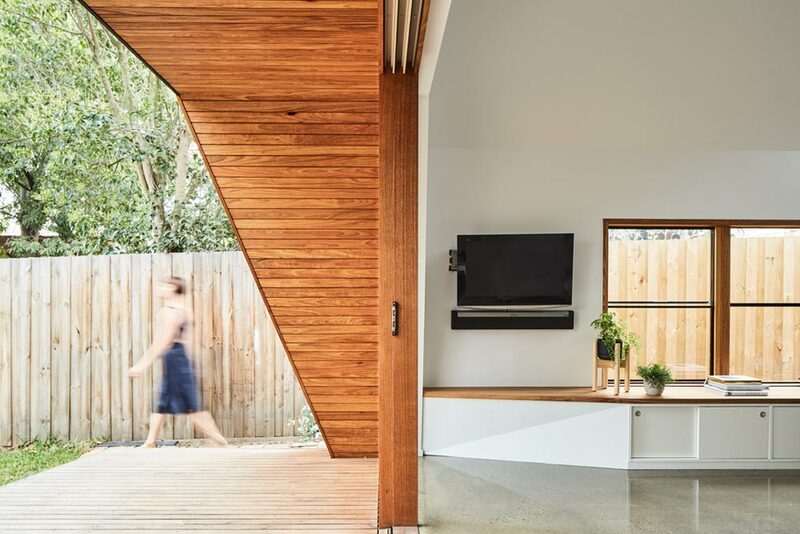 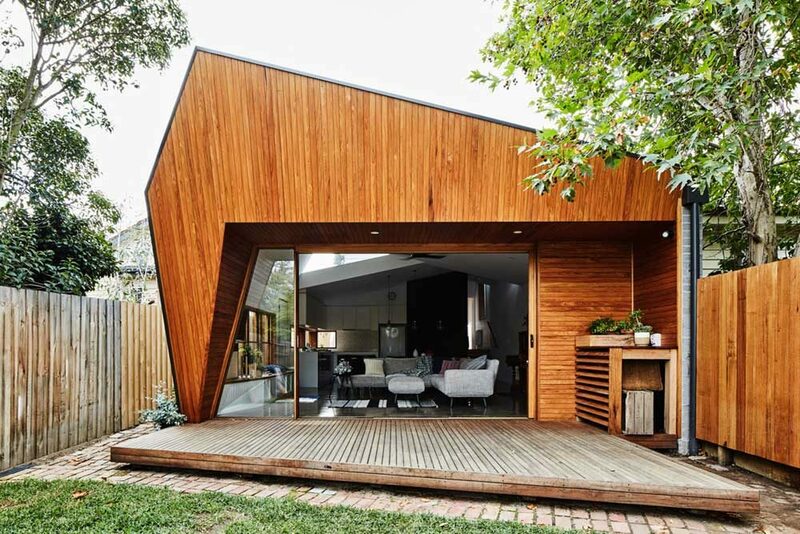 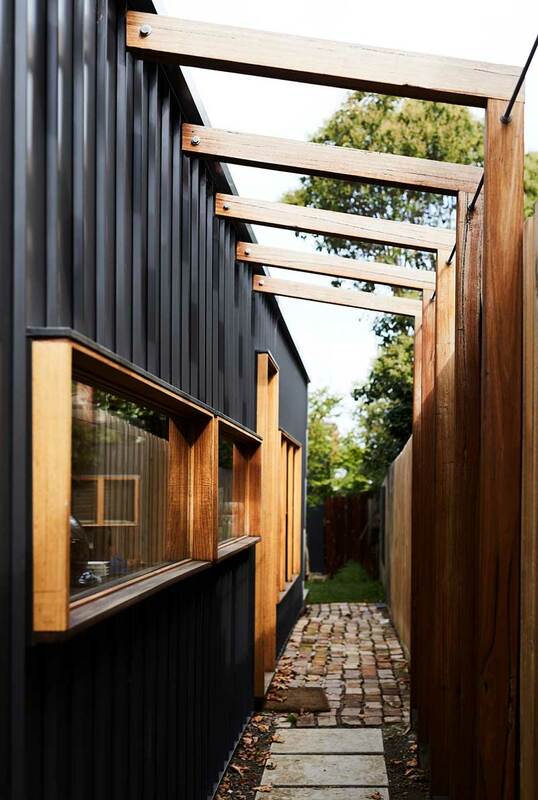 Constructed with a heady display of richly stained Australian timber along with dense black framing, this small cottage extension is a Melbourne delight through and through. 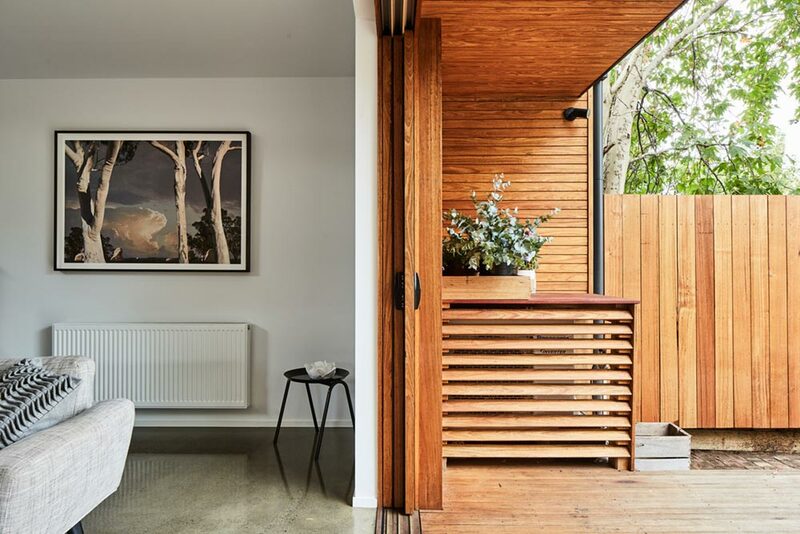 Originally operating as a ‘workers cottage’, the new extension at the back of this home now combines work and play perfectly. 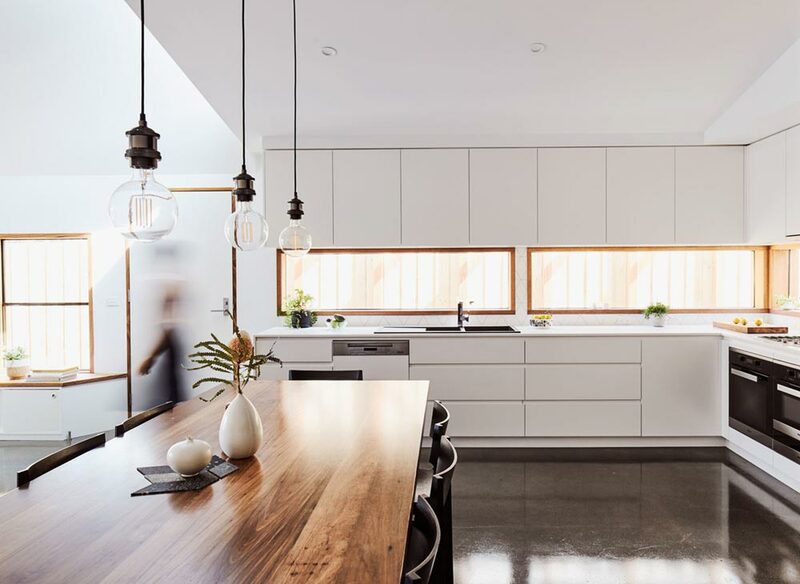 With an open-concept approach that leads effortlessly from kitchen to dining room to living room to patio, this home’s flow is top-notch. 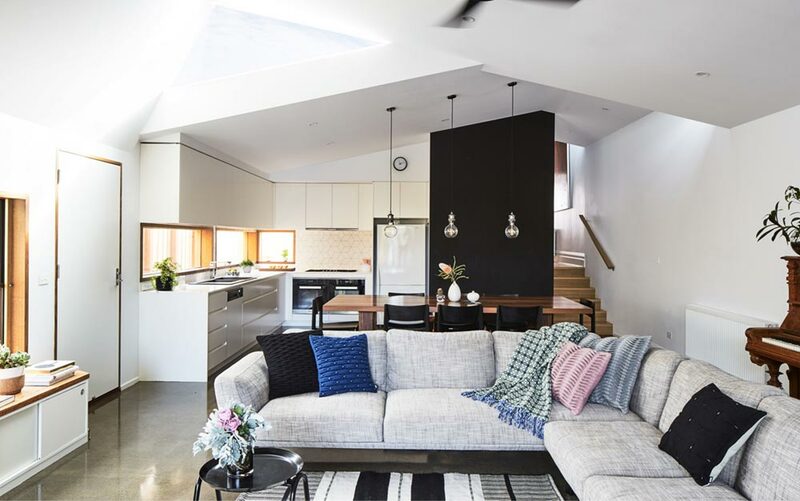 Keeping in-step with the airy approach, the pale white walls, soft grey couch and transparent three-tier dining room lights are as visually breezy as the Australian air coming in from the rollaway living room door. 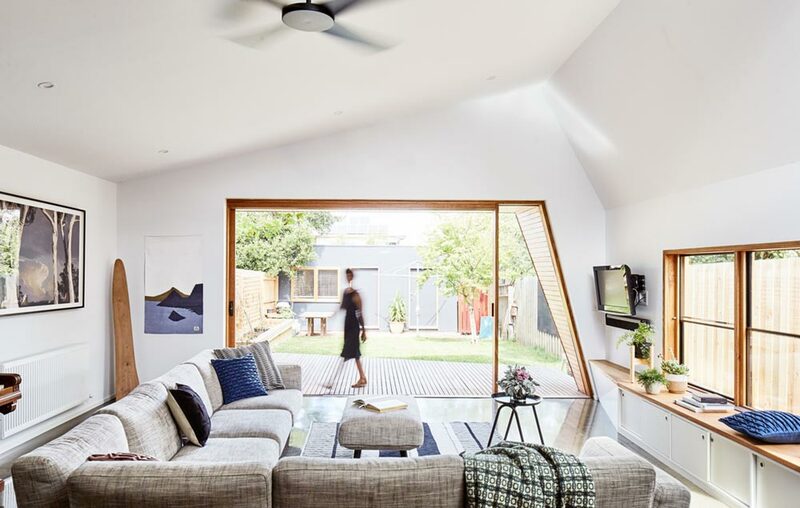 Cozy and comfortable defines this cottage, while the crisscrossed roofline builds upon the character of the home, bringing a curious array of light into the space throughout the day. 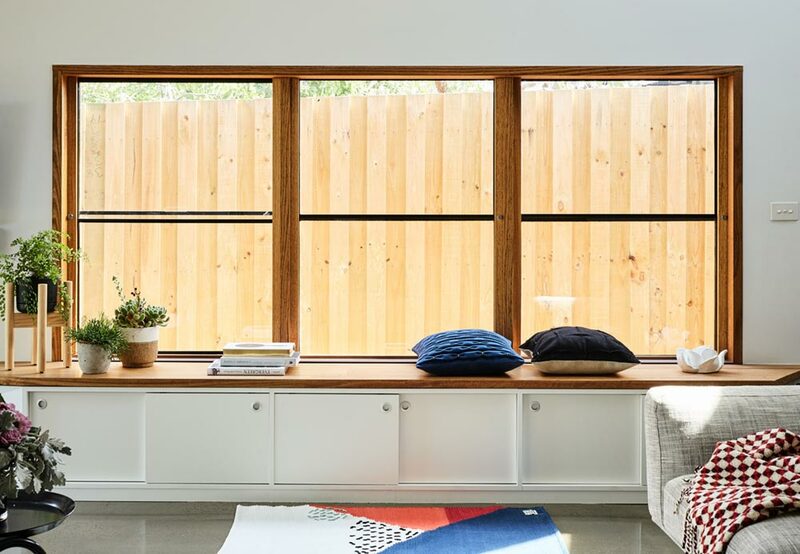 Tight walkways leading to open concept living, meld old and new brilliantly, from the windows to the walls – and everything in-between.